My husband has an obsession with brands. It is something he thinks about a lot. He is very picky﻿ specific about what brands he will buy and wear, and very hard to shop for. Over the 30+ years we have been together I have learned some "rules" that will make for more successful birthday and holiday gift shopping. Made in Italy - to him that means quality. Clothing, sunglasses, shoes, pretty much anything 'Made In Italy' is a winner. German made = precision craftsmanship, take a guess at what car he drives. Made In China - personal conviction will not allow him to knowingly purchase anything Made In China. 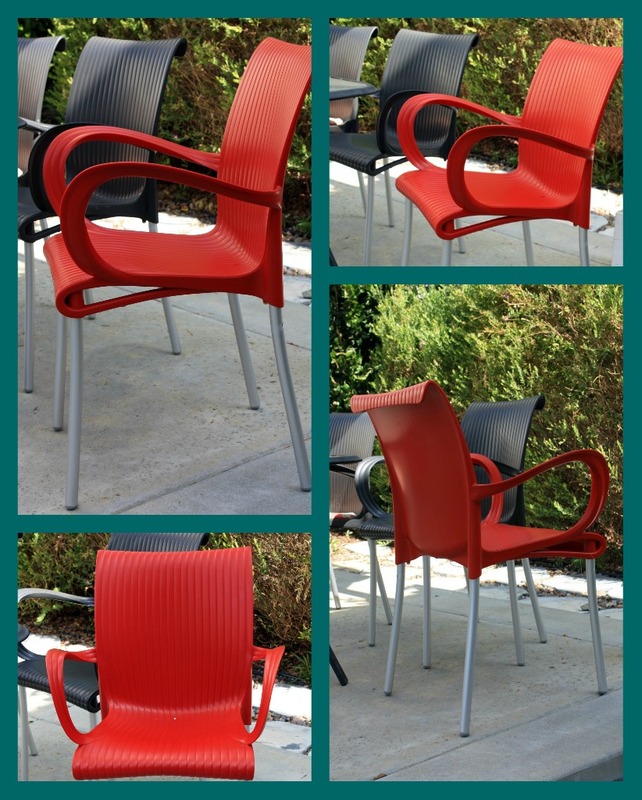 So last week I picked up these Bistro Chairs to put on our patio. Made In Italy. Can you believe it? Retail $100/chair, Home Goods Price 40% off. It gets better... on clearance for 78% off retail! Ding, ding, ding, we have a winner!